I’ll be at Boskone in a couple of weeks—Friday and Saturday, but not Sunday. Maybe I’ll see some of you there? It’s a really nice convention. You should come! When the future described in an older SF story contradicts our already-lived experience, sometimes it doesn’t matter. Scientific “predictions” didn’t turn out as imagined. So what? The story still holds up, as in classics like The War of the Worlds and The Time Machine. But other tales much lauded in their time have since lost their luster. Wherein lies the difference? Does the science in science fiction truly matter over time as long as the story is well-told? The universe would be perfect, if only you were in charge. Today’s the day to stop dreaming and start doing! What are the “must dos” and the “no-nos” that every evil emperor must keep in mind when conquering? Should you be the face of the takeover, or is it better to have a sidekick to throw into the spotlight? How do you handle pesky rebels? And is a catchy dictator name an essential accessory for success? The Director and guest lecturers of the Odyssey Writing Workshop, held each summer in New Hampshire, discuss the most effective techniques for keeping readers on the edge of their seats and awake long into the night. We’re enjoying the start of Sasquan, the 2015 World Science Fiction Convention (aka worldcon) in lovely Spokane, Washington. The Spokane (rhymes with can) Convention Center is located right next to the aptly named Spokane River, with a beautiful riverside park. We’ve already seen a number of friends, and I listened to a great talk by a Vatican astronomer on astronomical models that were almost right, but not quite—usually because the astronomers of the time didn’t make the leap from the data they had to imagining the right questions to ask. The air, however, is a bit thick here. Washington state and neighboring Canada have a lot of wildfires going, and it makes for uncomfortable breathing at times—and eerily red sunsets. 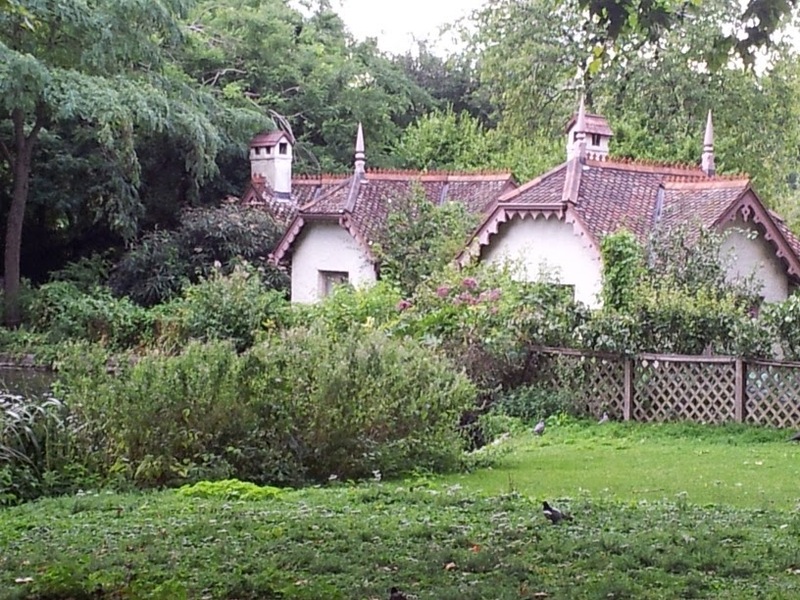 My phone camera failed to catch the effect, so I don’t have a good picture. But here’s a map of the fires currently going, and you can see that the U.S. Northwest and Canada are getting the brunt of it. 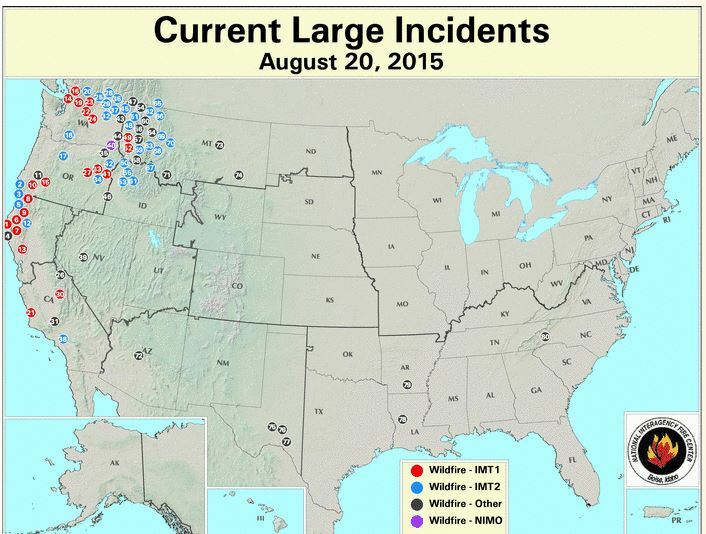 But the smoke is actually carrying all the way across the U.S. on the jetstream. On our drive from Seattle to Spokane, we stopped off to see the Grand Coulee Dam, and I talked to a U.S. Forest Service guy who had also stopped to see the dam. He was on his way to a fire. I asked what his role was. He said he manages a group of helicopters that takes firefighters in to rappel down close to fires in hopes of cutting them off before they can spread. Gottta hand it to those guys! Meanwhile, if you’re attending the con, I hope you’ll stop by one of my events and say hello. Today (Thursday) I’m on a panel about Book View Cafe, an author collaborative. Saturday I’m autographing, and also participating on a panel on Space Opera. Odyssey Story Slam in New Hampshire! 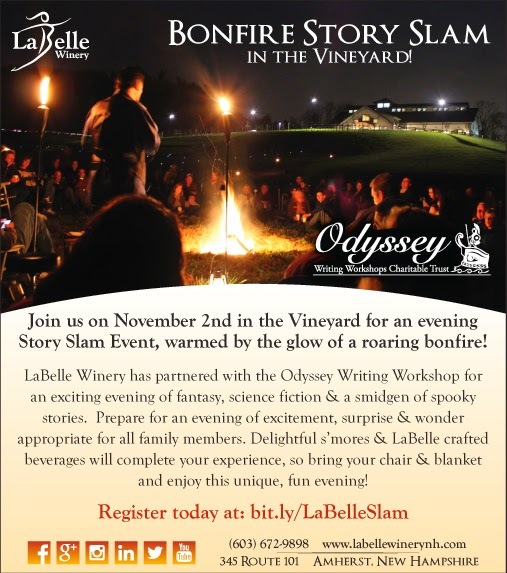 This is not only a great event, but also a fund-raiser in support of the terrific Odyssey Writing Workshop, which I have visited on several occasions as a guest lecturer. Come enjoy some stories and s’more stories! *My best book signing ever was at my favorite local wine store, during a wine tasting. 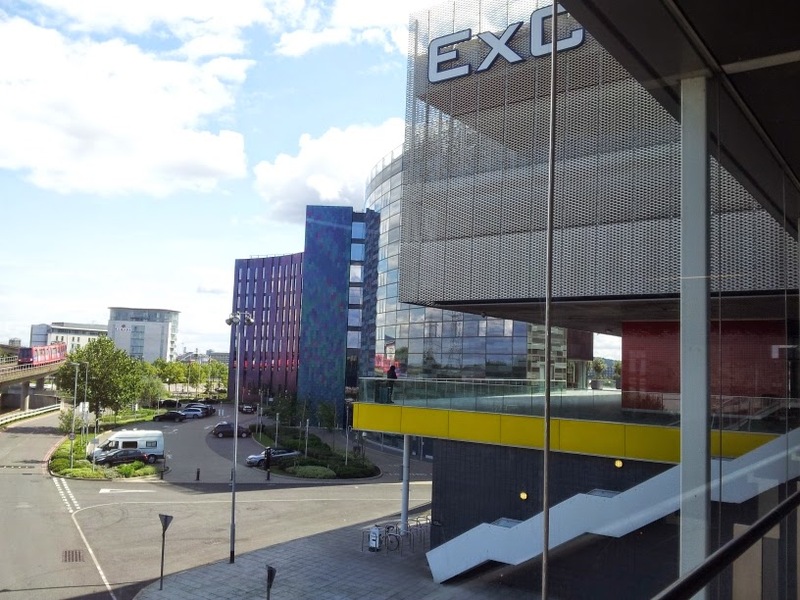 We returned from England a couple of days ago, after going to Loncon 3 at the Excel Center and then spending another five days seeing London, Greenwich, and Nottingham (where lives an old friend of Allysen’s). 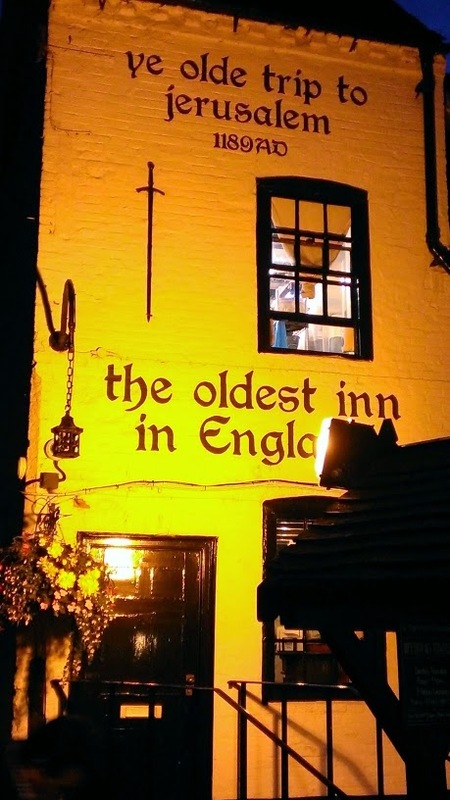 It was quite an adventure, starting with staying on a sailboat (more on that in another post), and ending with a very nice train ride into Robin Hood country, where we ate at what is reportedly the oldest pub in England. The worldcon was a bit of a wash for me in professional terms, but Allysen and Julia had a fantastic time and I did enjoy myself despite a couple of wardrobe malfunctions that I’ll also save for another post. Overall, it was a memorable trip, with one major downside. I picked up a nagging cough at the con, and by the time I got home I was pretty nonfunctional with a great, hacking cough and pneumonia. A bit of a setback there. Also, it was kind of a lousy way to celebrate my 65th birthday, which was the 25th. On the other hand, the wonder of still-functional antibiotics was a great way to celebrate my birthday. I’m doing much better now, though I’m still a little sub-par in terms of mental focus and concentration. Not up to writing much yet, but I’m turning into a mean movie-watcher. There may be a lesson in there, though I can’t be certain. Prior to the trip, I had a bunch of really nasty poison ivy (or something) rashes, which were taking forever to clear up. The dermatologist put me on a short dose of prednisone, which did a remarkable job of clearing up the rashes. But it also may have suppressed my immune system just enough to lay me open to the pneumonia. My take-away from this is, try to avoid travel while taking prednisone. Also, when in London, have the fish and chips! 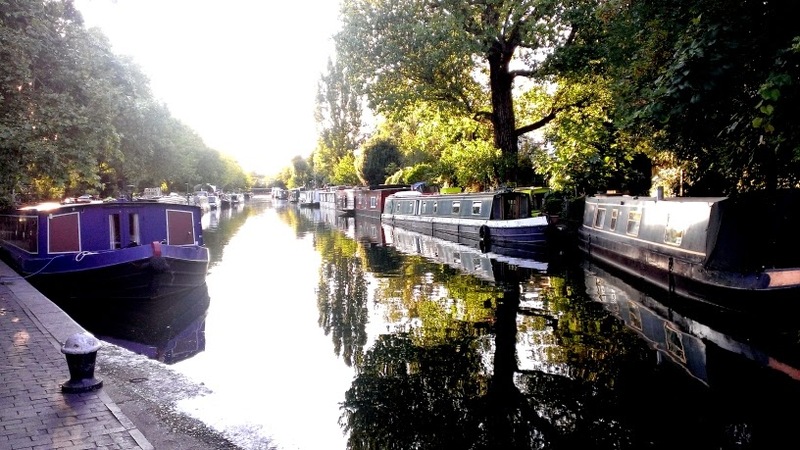 Did you know they have 500 miles of canals in London? 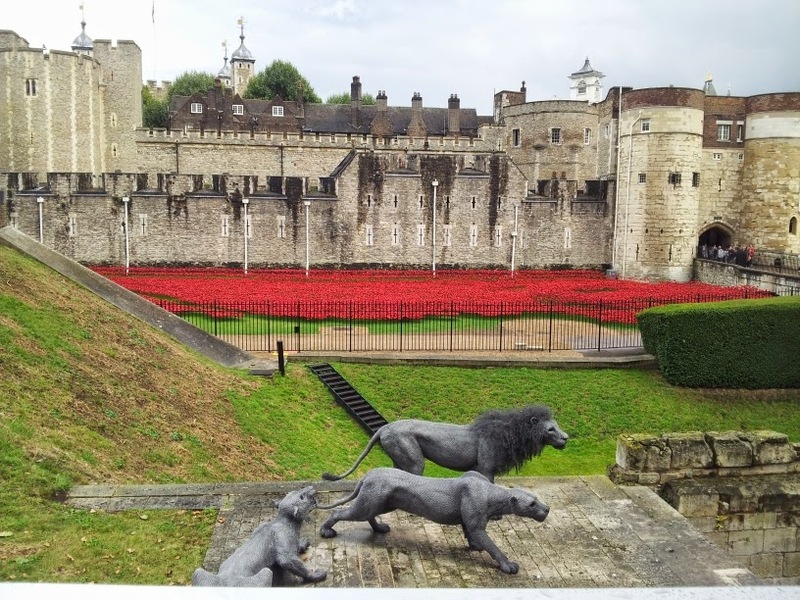 The Tower of London, complete with lions. If you’re at Loncon, stop by and say hello. Friday at 3 pm.